A principal use of any good compressor is an effect to smooth out and level the dynamic range from the instrument. Whilst most modern bass amplifiers are equipped with a much-simplified version of this type, some lack this key feature. 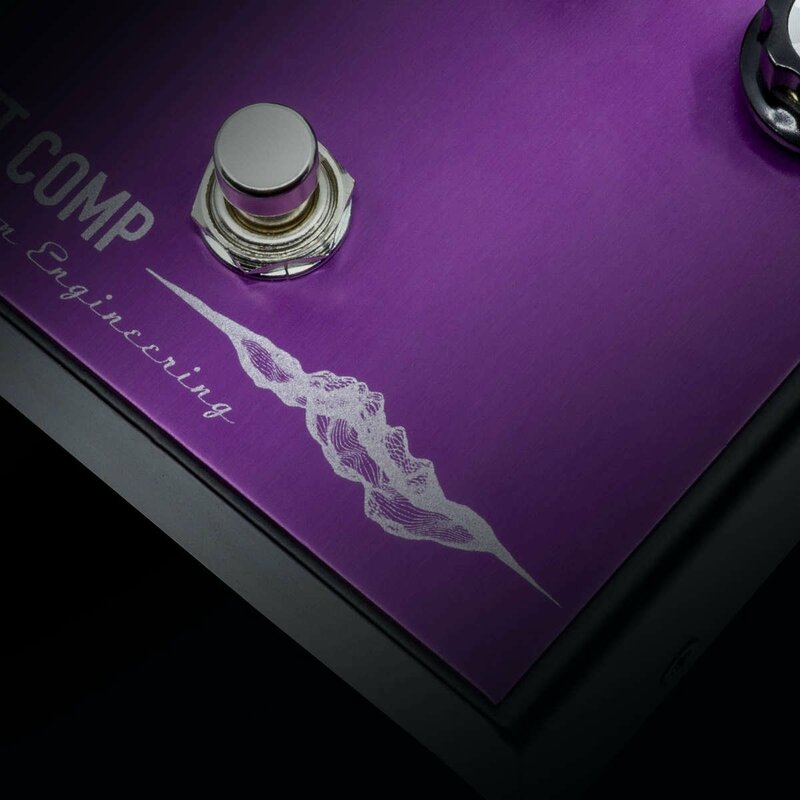 Designed to make your bass sound silky smooth, The Ashdown Velvet Compressor is a stunning, well-rounded compressor pedal. 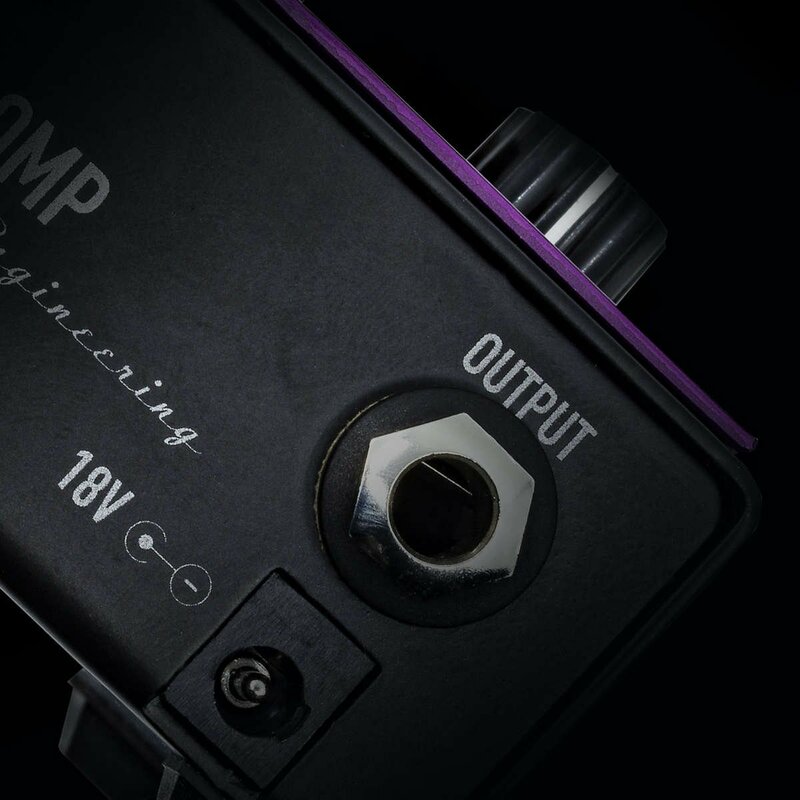 In use, the Velvet Compressor should be set so that the volume does not change when the pedal is switched on/off. This is achieved by adjusting the “Input” and ‘Output” level controls. The “Input” rotary control has an accompanying 3-band (white blue and red) LED light control to assist you in setting the perfect input level before hitting the compressor. The light tickling the blue being the recommended amount. With your input signal at its optimum, set the overall output of the pedal into the amplifier with the “Output” control. Once set, the “Compact” control is really where it counts… adding more or less compression, whilst retaining dynamics and keeping your sound consistent. While some bass compressors mean you have to compromise on the compression between your high and low strings, which can be particularly difficult for bass players, the Ashdown Velvet Compressor allows precision with every note. All pedals in the range are constructed with robust Steel housings with Anodised front fascias. Genuine Neutrik Jack sockets are used throughout. 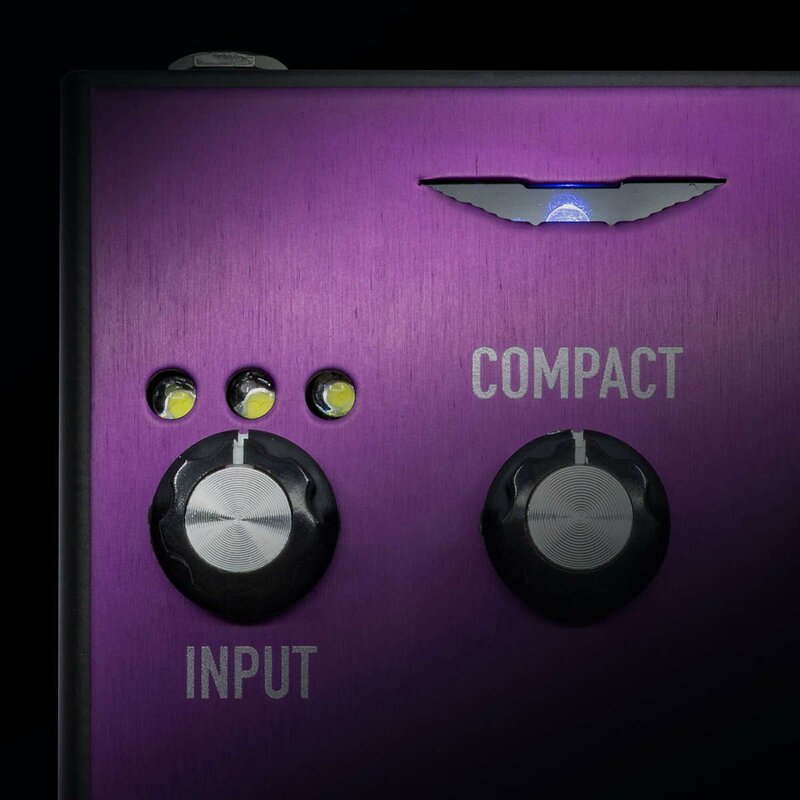 The pedals are finished in a sleek colour palette with the main centrepiece on each pedal being the sapphire-coloured illuminated LED that lights-up Ashdown’s famous double-winged logo when the pedal is engaged.